I always love to check in with my favorite southern artists to see what they've been up to. 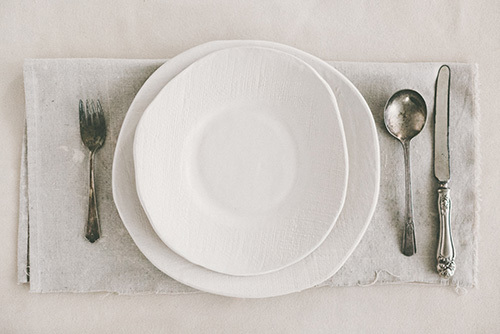 Like Morgan Williamson of Handmade Studio TN, who handcrafts the prettiest dinnerware and serving dishes for the home. Whether it's bowls, cups saucers, plates or tumblers, Morgan crafts pieces that are as pretty as they are practical, meant to be used and passed on to future generations. They are 'imperfect' vessels, showcasing the mark and point of view of the artist. One of my favorite gifts to give is this cheese board imprinted with Morgan's signature lace texture. (reminding me of her stunning Chamberlin Platter, which I blogged about previously) Plus, these sweet ceramic cheese markers, finished in a glossy buttercream glaze, are another perfect gift for the cheese lover, of which I know many. To see Morgan's entire collection, just click here. If you believe in love at first sight then you may believe in my complete adoration for this platter. At first glance, I was smitten. Morgan Williamson discovered her clay obsession in Atlanta and now works out of a collaborative artist space in Nashville, called Fort Houston. It is here that she sculpts, fires and glazes incredible pieces for the home that are simple, beautiful, imperfect. 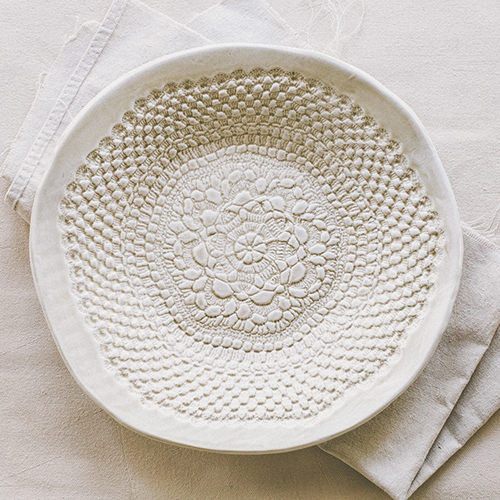 Morgan offers three equally gorgeous textures for her ceramics: burlap, smooth or lace. You can choose between three glaze options as well: sand, buttercream or white. All of her pieces are dishwasher and microwave safe and each one is meant to be used, admired.